I woke up this morning expecting to hear howling winds and torrential rains. Hurricane Irene. But so far, so good. Hope everyone is safe down East. If not for Irene, these Lavender Sugar Cookies would be sandwiched with vanilla ice cream and tucked safely away in my freezer. But buying ice cream this weekend would be tempting fate; we'd be sure to lose power for a week. Not that we'd have trouble polishing off a half gallon of ice cream before it melted. It would be an emergency, after all. If the storm is stressing you out and you need to relax (and you still have power), Lavender Sugar Cookies are just what's needed. 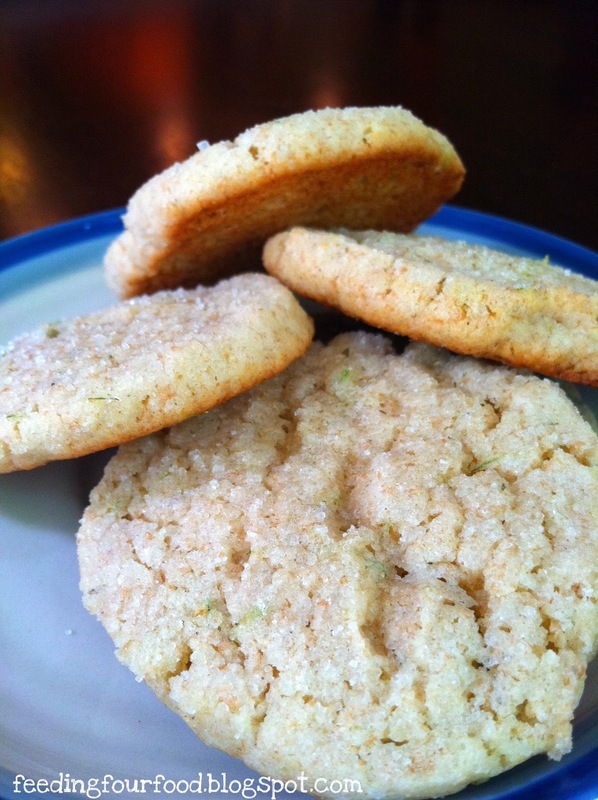 I'm guessing, however, that most of you don't have Lavender Sugar sitting in your pantry. Gasp! No worries, the basic cookie recipe is versatile. Substitute almond flavoring for the vanilla, add the zest of a single lemon or toss in 1 tsp of grated ginger--your choice. If you're lucky enough to have access to a lavender plant, add two tablespoons of the 'leaf', chopped fine, to the sugar/butter mixture for a similar effect. If your lavender is blooming the purple flowers are the most fragrant, so adjust the amount accordingly. Leave out the woody stalk in the middle. You can also purchase lavender sugar online. So, can you taste the lavender? Yes, you can, but it's not overpowering. First you taste the sugar and the butter and vanilla and then you taste the lavender. It's a sweet/savory combination, a little mysterious. You eat one, think, "Mmm, what is that?" Then you eat another. Lavender Sugar Cookies are dangerous that way. Enjoy them with a cup of herbal tea or a tall glass of milk. Or a half gallon of vanilla ice cream. Stay safe this weekend East Coast. 1.) Mix together the butter and sugar. Add in the vanilla and egg. 2.) Now I'm supposed to say, "In a separate bowl, mix the dry ingredients..." But who really does that? Mix the flour, salt and baking powder into the butter and sugar. 3.) Separate the dough into two balls on two pieces of plastic wrap. 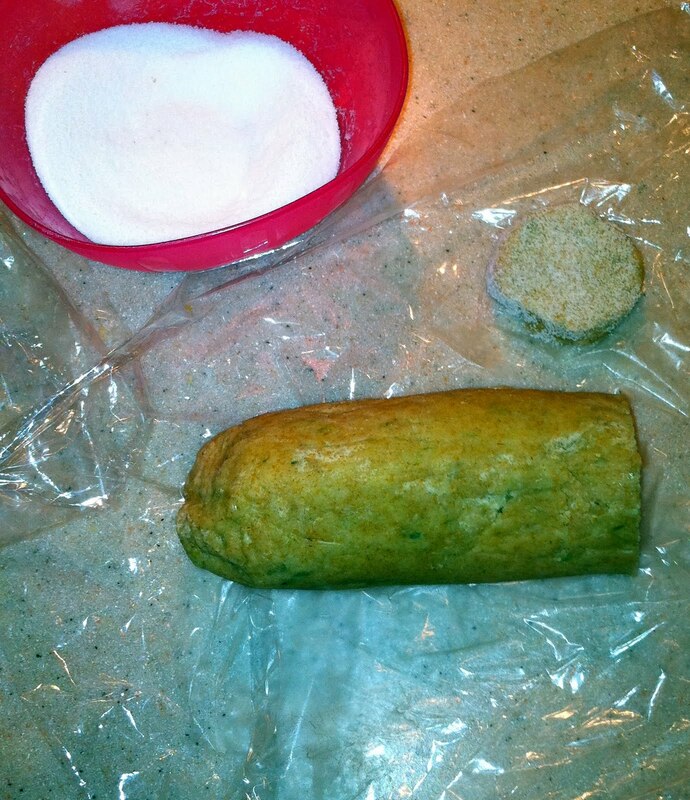 Shape into logs, wrap tightly and place in the fridge for an hour to overnight until firm. 4.) Take the dough out of the fridge and give it a roll on the counter top to get rid of the flat side of the dough where it sat on the shelf. You may need to shape the cookies some with your fingers too. 5.) Preheat the oven to 400'. 6.) Place the extra sugar in a bowl. Slice the dough rolls into two dozen, 1/2 inch pieces. Press each piece into the sugar and place, sugar side up, on cookie sheets. I wanted to use purple decorator's sugar for the tops but couldn't find any at the store. Wouldn't that be pretty though? 7.) Bake for 8-9 minutes, taking out of the oven just when they start to brown and the centers are set and no longer gooey. 8.) Serve with a glass of milk or herbal tea. 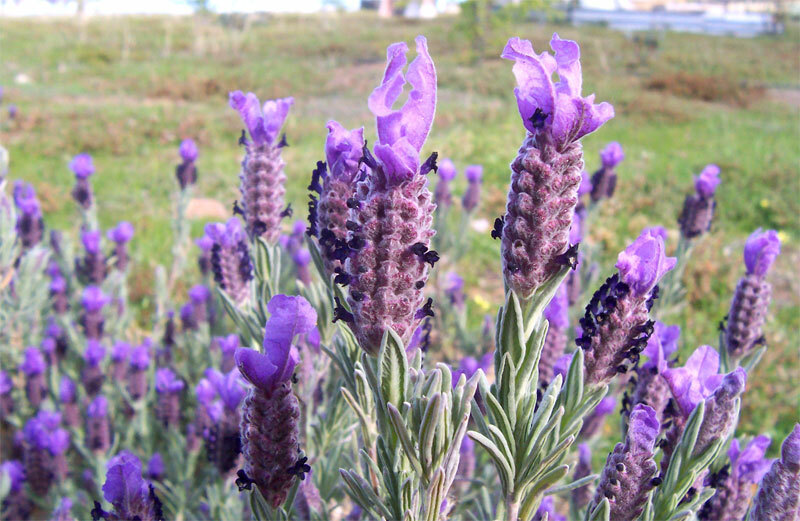 When I planted my herb garden this year I added two large lavender plants. When the purple spikes of bloom appeared early in the summer I harvested them, set them aside in a bucket and forgot about them until now. I use a lot of lavender beauty products like body lotion and wash but I hadn't considered using it in cooking until recently. Lavender is part of the mix for Herbes de Provence after all, along with thyme, basil, savory and fennel. So I started doing some research and found two ways to use dried lavender flowers or the stalks, one sweet and one savory. Lavender Sea Salt and Lavender Sugar. The sea salt can be used to season grilled meats or vegetables. We've also sprinkled lavender salt over olive oil and used it for dipping bread at dinner. If you don't have lavender on hand, you could also try rosemary or another woody herb with the salt. 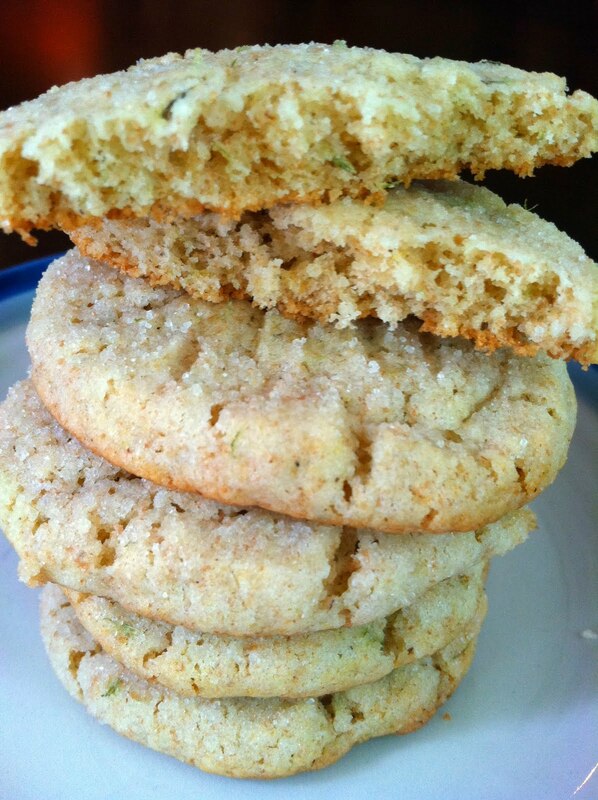 On the sweet side, I'm going to give lavender sugar cookies or biscotti a try soon. 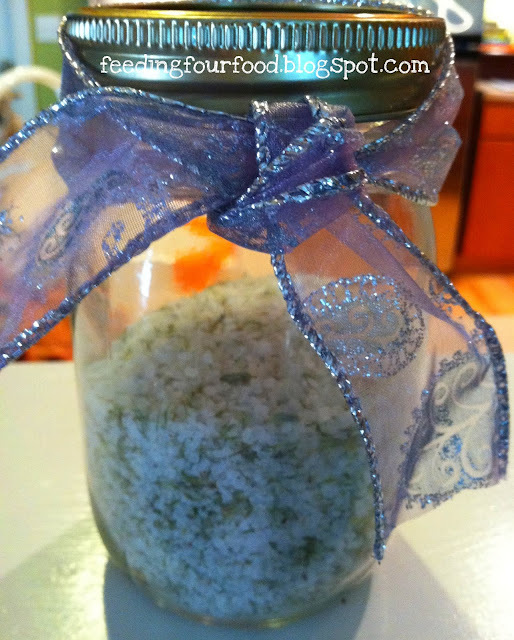 The salt itself is highly scented in the jar but it doesn't seem to overwhelm dishes. It plays a nice background note. It's also nice paired with rosemary, although too much rosemary will overwhelm the lavender. You probably won't find lavender in your produce section but shouldn't have any trouble finding it at a garden center or Farmer's Market. 1.) Place the lavender with the salt or sugar in a food processor and pulse until they're well mixed. 2.) Pour salt/sugar in a clean, dry, air-tight container and store in a cool dark place. The longer it sits, the stronger it will get. When I've spent two days making bread from scratch I'm not letting a single, hard-earned, day-old breadcrumb go to waste. But you don't have to make your own bread to want to save pennies. So here are a couple of ideas to use up day-old or stale bread, whether homemade or store bought. 2.) Salad croutons. Cut the bread in large cubes, saute it in butter until coated. Sprinkle with salt, pepper and parmesan and toast in the oven, turning once to brown evenly. Let the croutons cool and toss them in a salad with a dressing like the vinaigrette I used below. 3.) 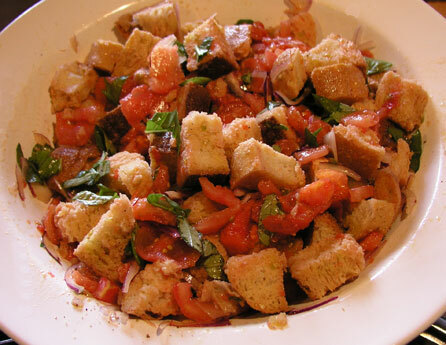 Dinner: Panzanella. See my post from last year for a yummy bread salad. You have to try this with fresh summer tomatoes. Mmmm. 4.) Lunch: Goat cheese toasts. Don't have time or have bread that's too rustic to make grilled cheese? 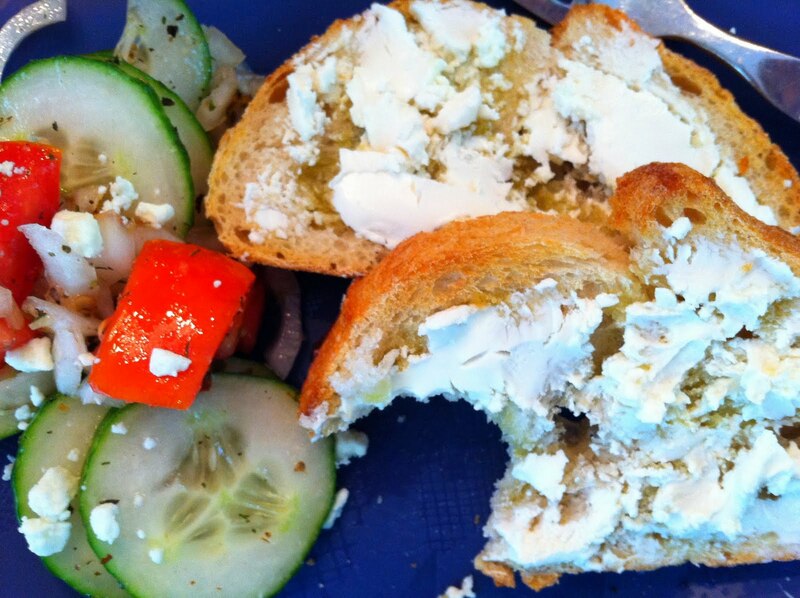 Toast the bread in your toaster oven, drizzle with olive oil and spread with goat cheese for lunch. You can also use cream cheese or ricotta cheese. 5.) And then of course, there are breadcrumbs, which can be used in any course. Slice the bread and toast it in the oven until well browned and crisp but not burned. Let cool. Pulse in a food processor until fine and store in the freezer. How do you use your stale bread? 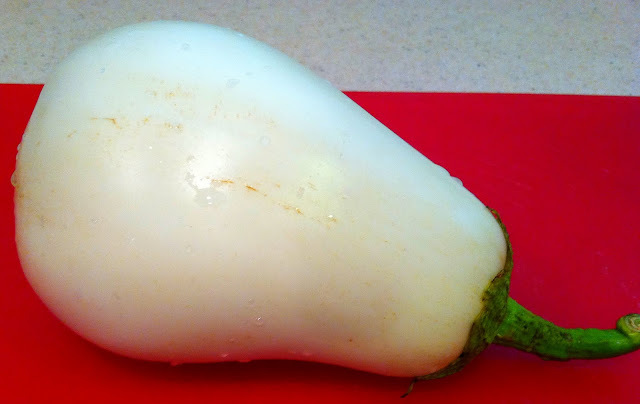 Here's what a white eggplant looks like, in case you've never seen one. They were new to me. They remind me of fat little ghosts, but that could be because my oldest boy is playing a lot of Super Mario right now. I paired the eggplant with a Veggie Flatbread (although I actually used garlic naan for the variation below) for dinner and made use of all of the peppers and squash we have on hand right now. So tasty you forget it's all good for you. What did the kids think? Well, they still wouldn't touch the eggplant but my hubby gobbled it up. 1.) 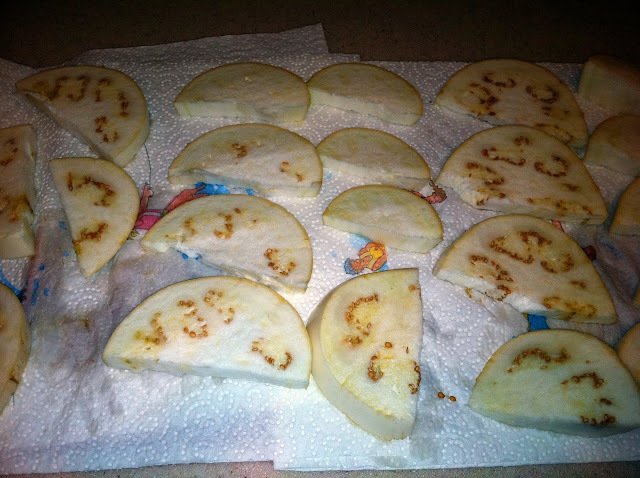 Quarter the eggplant and slice the quarters into 1/2-inch thick slices. Salt and lay out on paper towels for at least an hour. Rinse and pat dry. 2.) Toss lightly in olive oil and grill on medium heat until soft and grilled nicely. 3.) 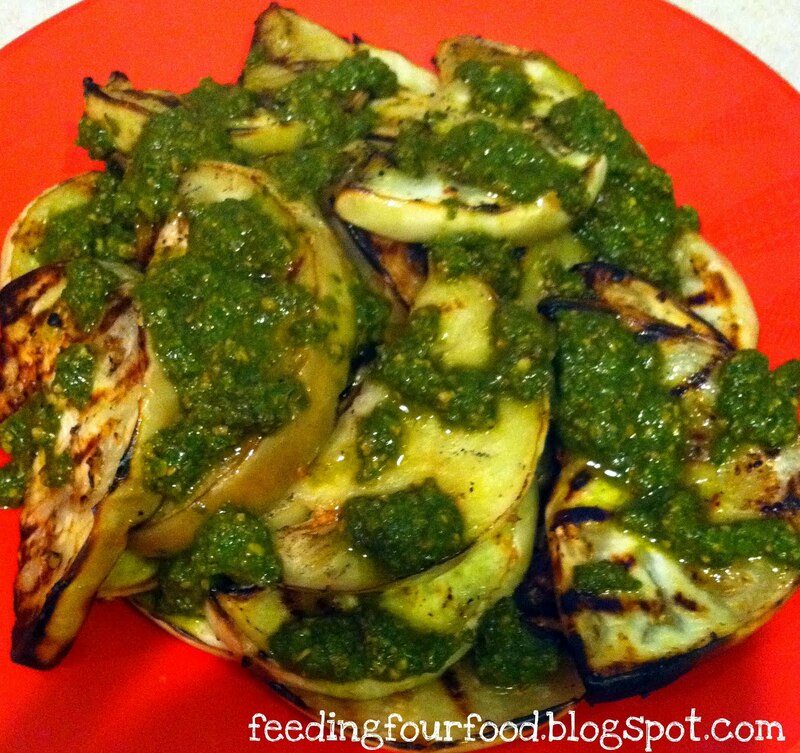 Drizzle with pesto and serve hot. A yummy way to use your baby potatoes this season, Salt Potatoes are an Upstate New York tradition that originated in Syracuse. You'd think with the amount of salt in the recipe that they would be inedible. 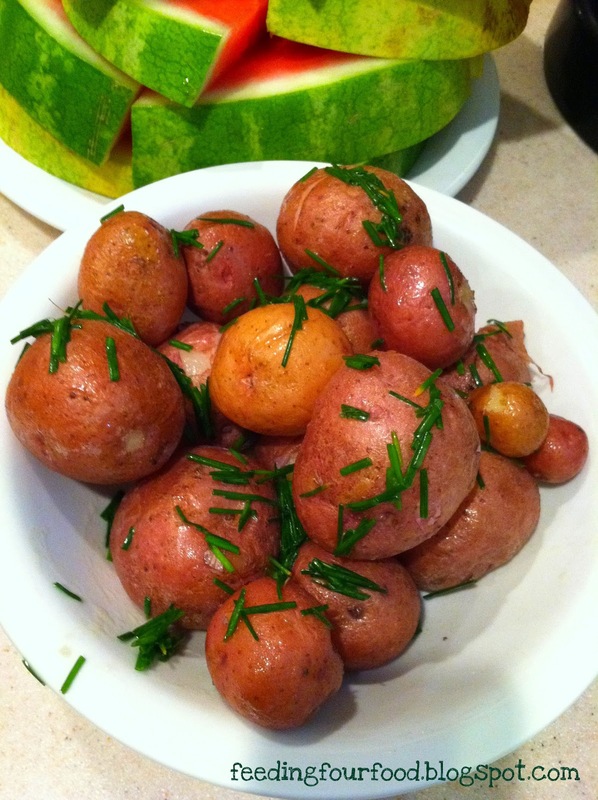 But if you use baby potatoes (see the photos below for sizing) and leave the potatoes whole they'll come out with a thin crust of salt on the outside and tender, buttery centers. They're heaven in their potato-y-ness. 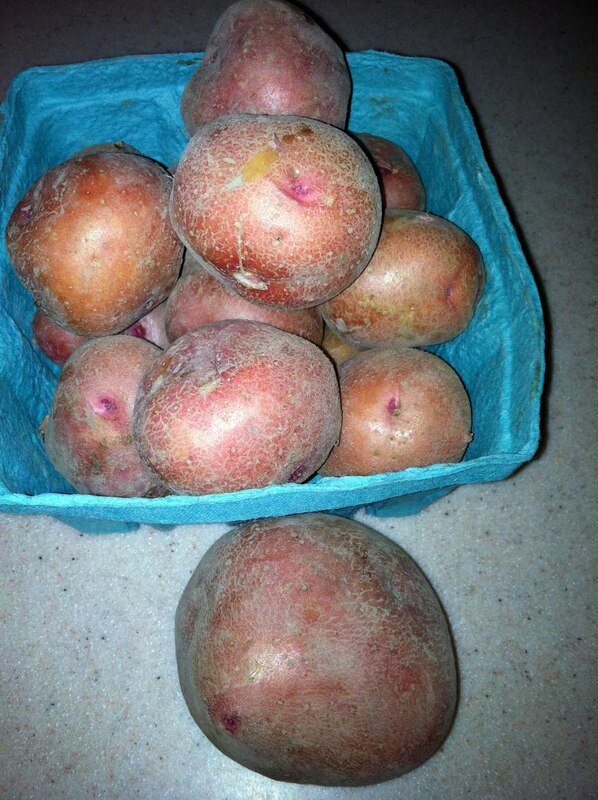 Baby potatoes in the basket with regular red potato on counter. The ones on top of the pile are the biggest in the basket. 1.) 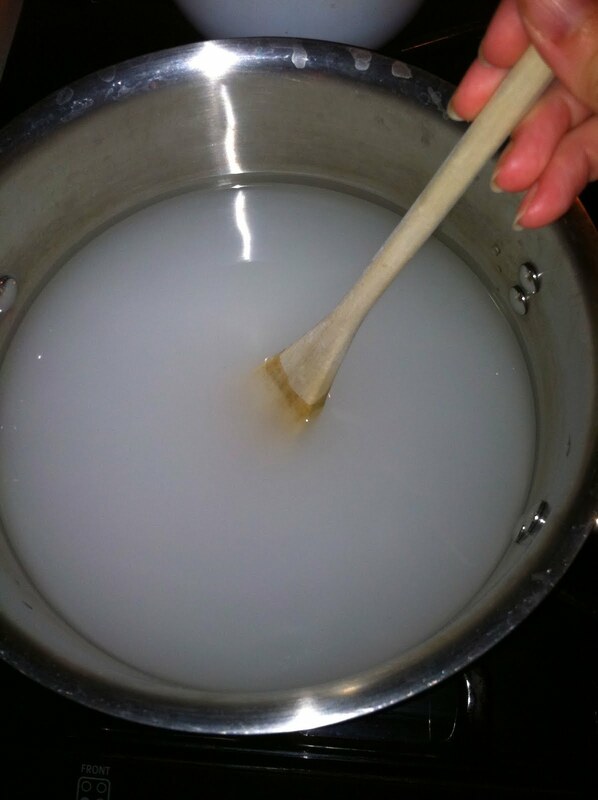 Add the water and salt to a medium pot and bring to a boil. 2.) 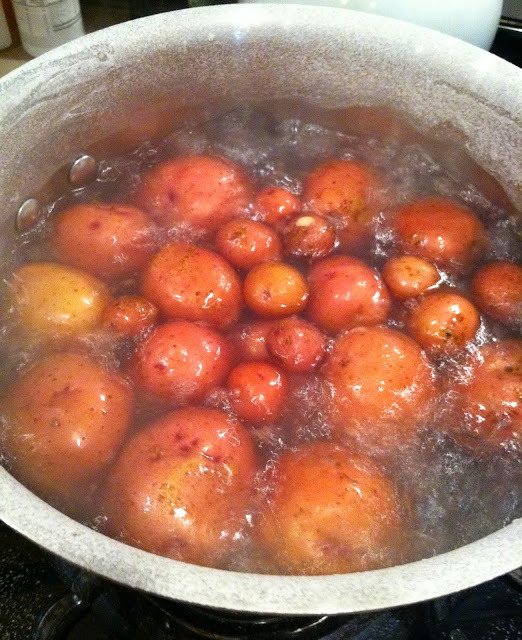 Add the potatoes, cooking until tender and give little resistance when pierced with a fork. 3.) Drain and set aside for a few minutes. 4.) Add the butter and black pepper to taste. Sprinkle with chopped chives and serve. 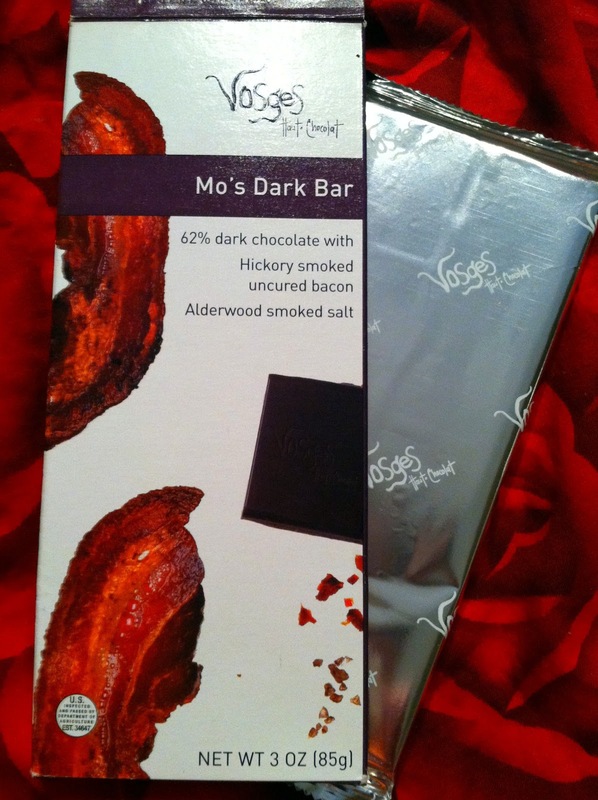 I keep hearing about chocolate/bacon pairings. So when I saw this chocolate bar at a grocery store in New York I had to give it a try. The description on the back invites comparisons to chocolate-chip pancakes with bacon and Maple syrup, which sounds yummy. 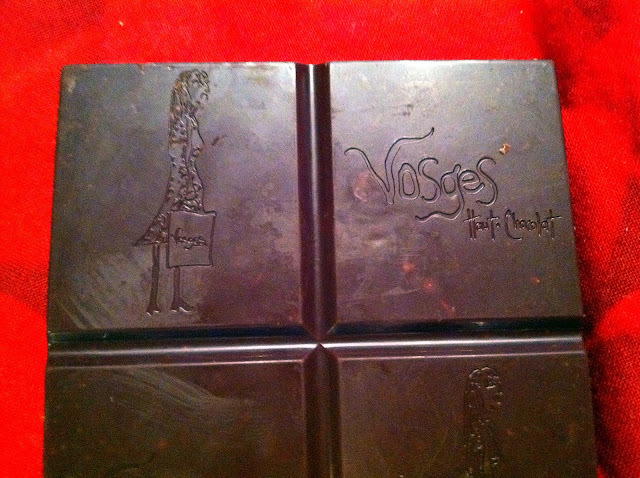 And I do love Vosges' unique, though pricey, chocolates (this bar set me back $5.99). 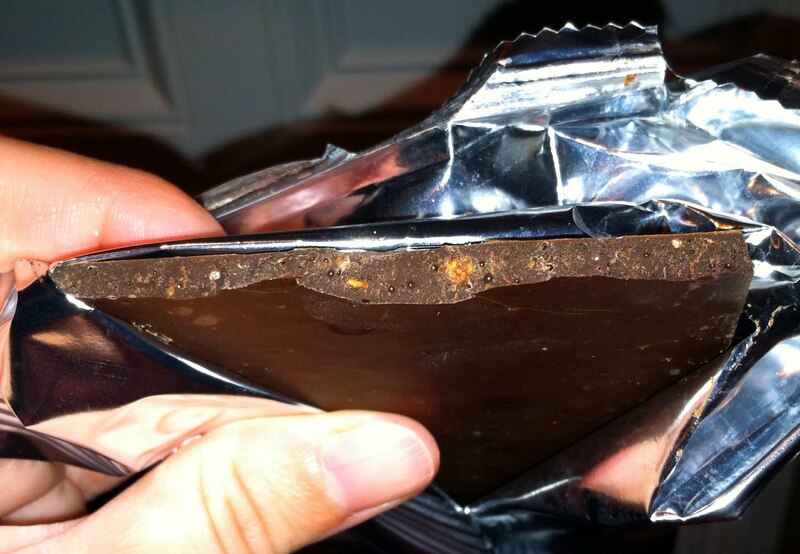 But it's good quality chocolate. Here's a close-up of the artwork on the bar and the bacon bits in the actual chocolate.